Just what does the abundant life look like? Flip through these pages and you will get a glimpse into the abundant life of this pastor’s wife and homeschooling mother of three. 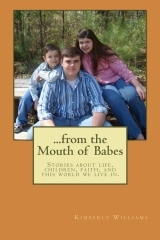 From the Mouth of Babes is a compilation of short stories about life, children, faith, and this world we live in. Learn how to have a clean kitchen, see life through the eyes of a child, look at marriage in a new light, take a serious look at the church and this modern culture, and discover some new traditions. Grab a cup of coffee and kick up your feet. Get ready to laugh, be prepared to be challenged, and pull out your Bible as you are pointed to the Word of God. Click here to order a copy of From the Mouth of Babes today! As women we are programmed to want happiness. But the happiness of this world is fleeting and not true joy. 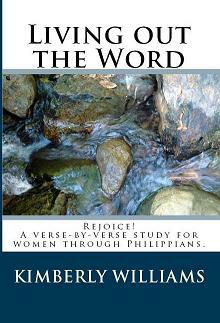 Through studying Philippians we can identify our true source of joy. This study will answer questions as, “Is our happiness what God is concerned with?” or “Is being happy the same as having the joy the Bible speaks of? Click here to order your copy of Rejoice today! What does it mean to have faith? 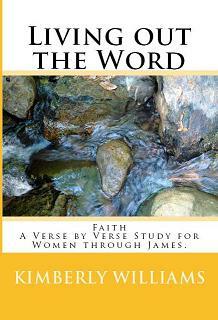 Through studying the book of James we can identify the true meaning of having faith in God. This study explains that faith is simply having confidence in the trustworthiness of God. Click here to order your copy of Faith today! Oh, what manner of love the Father bestows upon His children. What does love look like? Is God’s love like ours or is ours like His? Find out what the apostle of love has to say in his epistles about God’s amazing love. Click here to order your copy of Love today! 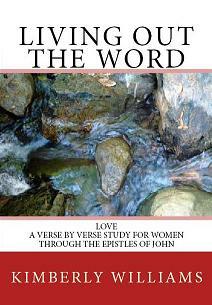 Living Out the Word series is also available at www.amazon.com.